NATA 2019: CoA has issued the answer key of NATA 2019 Examination on April 15, 2019. The aspirants who have applied for the examination can check the answer key of NATA 2019 on the official website of NATA, nata.in. NATA 2019: Council of Architecture (CoA) has released the Answer key of NATA 2019 Examination on April 15, 2019. The aspirants who have applied for the examination can check the answer key of NATA 2019 on the official website of NATA, nata.in. The candidates who appeared in the NATA 2019 examination can challenge the answer key. The last date to challenge the answer key is April 16, 2019. The National Aptitude Test Architecture (NATA) 2019 was scheduled to be held on April 14, 2019, on Sunday. The National Aptitude Test in Architecture is a national examination test for admission in undergraduate Course of architecture. Every Year many aspirants apply for the examination to get admissions in the reputed colleges of architecture. It happened for the first time in the history of NATA that the Council of Architecture( COA) is going to conduct the NATA examination two times in a single year. The candidates who had missed the first attempt on April 3, 2019, can apply for the second attempt till June 12, 2019. The Second attempt of the NATA Examination will be held on July 7, 2019. The result of the first attempt at NATA 2019 will be declared on May 3, 2019. The minimum age to apply for the NATA 2019 examination is 17 year. Step 1: Log on to the official website of the NATA. Step 2: Tap on the link saying NATA 2019 Answer key. Step 3: The answer key for NATA 2019 will appear on the screen. 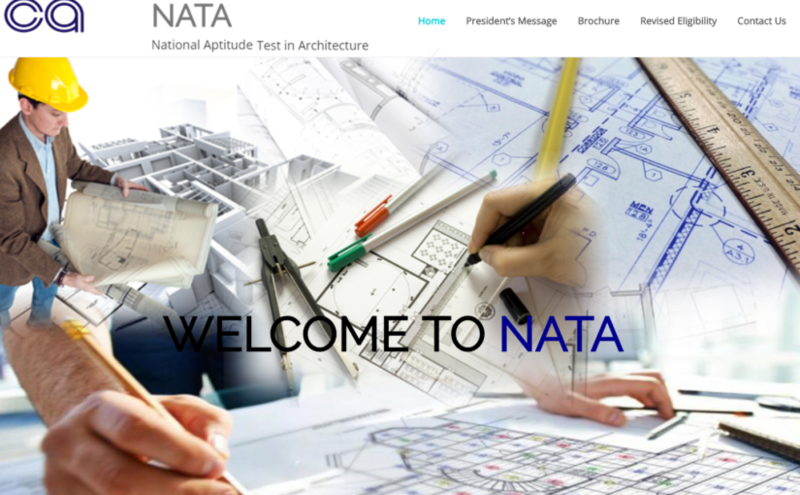 National Aptitude test of Architecture(NATA) conducted by the Council of Architecture (CoA). The test duration of the NATA examination is 3 hours. NATA Examination consists of total 200 marks. The question Paper Has divided into two parts, part A, which is conducted online and part B, which is conducted offline.